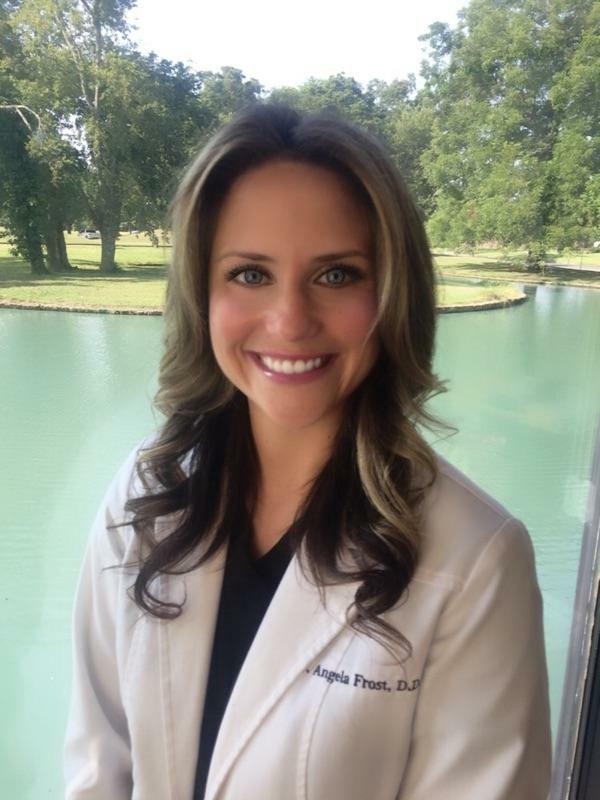 Dr. Angela Frost was born in Dallas, TX and has enjoyed living in multiple areas of Texas. After earning her degree in Biology, she pursued her Doctor of Dental Surgery degree from the University of Texas School of Dentistry in Houston. Dr. Frost is licensed in both Texas and North Carolina and has enjoyed working in private practice in both areas. After enjoying time in the mountains of North Carolina, she & her family decided to settle in Houston permanently. Now that she is home in Houston, she has begun her journey to fulfill her dream with the opening of Frost Dental Care. Dr. Frost uses a precise & gentle approach to create beautiful and healthy smiles that patients love. She performs many procedures to restore tooth form & function including crowns, root canals, Lumineers, and Invisalign. Dr. Frost is a member of the American Dental Association, Texas Dental Association and the Greater Houston Dental Society. Dr Frost enjoys time with her husband & two children who all love spending time in the great outdoors together. She is a runner, hiker, & snow skier, and enjoys traveling to outdoor destinations to explore.